This is our home ground and we know the area like the back of our hands. Who better then to teach would-be drivers from the Fulham area about driving in their backyard, so to speak? 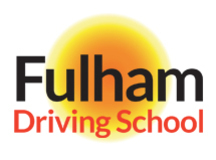 At Fulham Driving School we pride ourselves on providing professional friendly driving tuition from experienced qualified instructors on both standard and automatic vehicles. We work with driving students at all levels of driving proficiency. No matter whether you are a complete novice and never been behind the wheel of a car or you’ve already had some driving lessons but not been successful in passing your driving test. 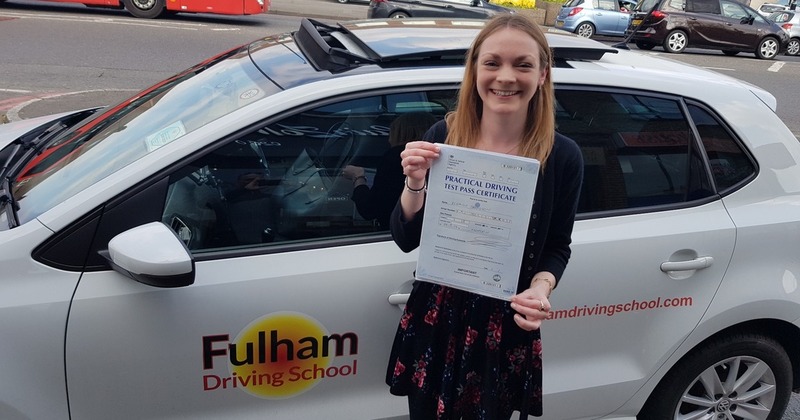 Even if you’ve just received your provisional licence and are looking to build your confidence, our professional DSA-licensed driving instructors are focused on helping you to achieve driver proficiency as quickly and as safely as possible. Fulham, is a bustling urban residential area in the London Borough of Hammersmith and Fulham, located approximately 4 miles to the South West of Central London. Fulham nestles in a loop of the River Thames situated across the river from Putney and lies between Putney and Chelsea. As such, the area presents a number of unique challenges for “new drivers”. Therefore our driving tuition in the Fulham area focuses on providing you with the core driving competency, skills and knowledge that you will need in order to pass your practical driving test in a busy urban residential environment. That is not to say that we don’t cover other driving environments and conditions. As one might expect, everything we teach is governed by “The Highway Code” and focuses on mastering skills in relation to Overtaking, negotiating Road Junctions, Roundabouts, Pedestrian Crossings and Reversing, among other things, in all driving environments and conditions. There are several good locations to practice overtaking in the Fulham area. For example, you are likely to be required to execute this maneuver on a regular basis along Fulham Palace Road (A219), Lillie Road (A3218) or Fulham Road (A304). Here you are likely to encounter slower moving or stationary vehicles due to the nature of the road, local traffic conditions and general traffic congestion. As such overtaking safely, competently and proficiently will be very important. The Highway Code details “Best Advice” and the necessary procedures for example, when overtaking a large vehicle…..“drop back. This will increase your ability to see ahead and should allow the driver of the large vehicle to see you in their mirrors. Getting too close to large vehicles will obscure your view of the road ahead and there may be another slow-moving vehicle in front”. Fortunately, Fulham has a number of quieter residential areas perfect for practicing the reversing maneuver. Take for example the area between Fulham Palace Road and the River Thames, adjacent to the Fulham Football Club ground of Craven Cottage (NOT on match days). However, remember that sometimes it is easier to drive around the block than try to execute a reversing maneuver or 3-point-turn in a narrow residential road. A good example of the typical busy multi lane roundabout, with traffic joining from 3 different entry points, can be found at the junction of Fulham High Street (A219), Fulham Road (A304) and Fulham Palace Road (A219). This is quite a busy roundabout where, depending on the direction one is coming from, one needs to pay particular attention to the road markings which allow a vehicle to enter the roundabout without giving way. However, even if this is the case one still look to the right before joining the roundabout to make doubly sure that any oncoming vehicle has seen you and it is safe to proceed. A good example of a busy intersection in the Fulham area can be found at the junction of Lower Richmond Road (B306), Putney High Street (A219) and Putney Bridge Approach, opposite St Mary’s Church. This junction is controlled by traffic lights and one needs to be extra vigilant here for cyclists, motorcyclists, powered wheelchairs/mobility scooters and pedestrians, in particular, crossing the road as this is a busy shopping area. Another particular issue to watch out for at this busy road junction is that, due to the sheer volume of traffic in the area, there is often not a large enough gap for you to emerge safely and therefore crossing or joining the road in the desired direction becomes very difficult. Our advice for this road junction, as with any road junction, is to be patient and only emerge when it is safe to do so. Morden, Sutton, Tolworth are the nearest local Practical Test Centre for learner drivers ion the Fulham area.